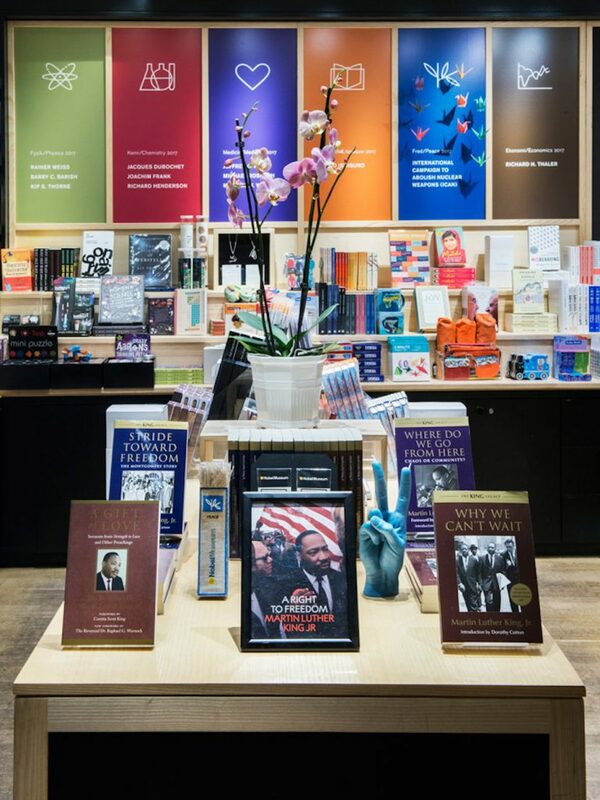 The museum shop offers an extensive yet selective range of literature, gifts and souvenirs which connects to current exhibitions, the Nobel Prize and Alfred Nobel. A selection of children’s books, activity sets, experimental kits and learning toys is also available. 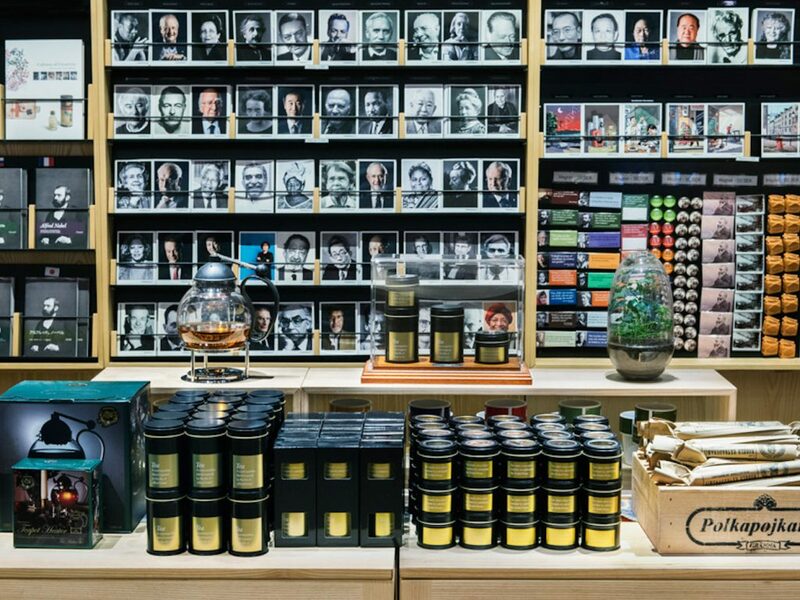 Visitors will also find gifts and souvenirs ranging from postcards and posters to selected pieces of the famous Nobel dinner service. Explore a wide variety of books about the Nobel Prize and prize areas, the life and times of Alfred Nobel, the prize awarding institutions, and of course books written by and about Nobel Laureates. Here you can also find gifts and souvenirs in different price ranges. The items are connected to our exhibitions, to the Nobel Prize and to Alfred Nobel. The chocolate medal traditionally served at the Nobel Banquet is for sale exclusively in our shop. You will also find find jewelry especially designed for the museum and many other items. The museum shop offers inspiring books for children. You will also find products designed to stimulate children’s curiosity and creativity. 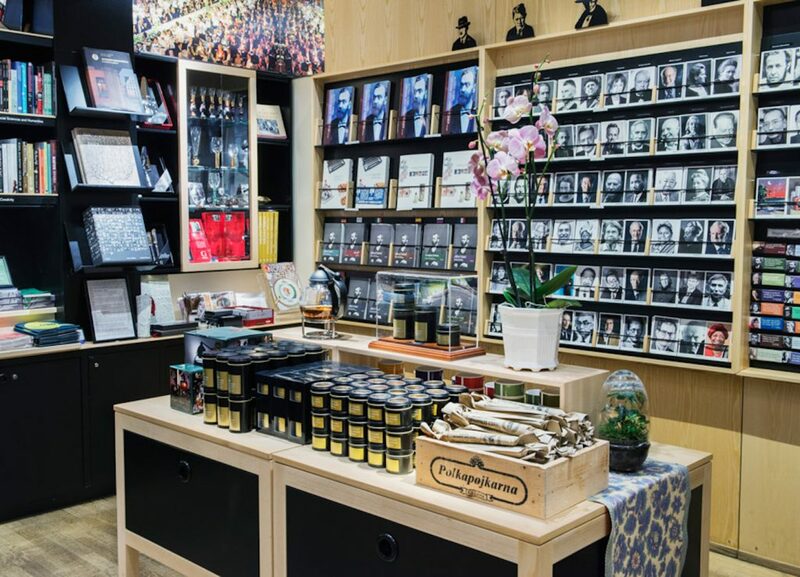 We do not have any web shop – instead we bid you a warm welcome inside our well sorted museum shop at Nobel Prize Museum in Old Town, Stockholm.